Last summer, my good friend Mansi went to Madrid as an au pair and ever since she excitedly told me about her plans to do so about a year and half ago, I have been thinking about doing the same. After endless months of trying to figure out my plans for the summer and general future, I am so incredibly excited to share with you guys that I am officially going to live in Madrid for twelve amazing weeks this summer! The tickets have been bought and everything, so I guess I can finally start letting myself believe that this is actually happening. Learn flamenco and salsa. I took salsa lessons one summer but that was about six years ago. Regardless, I absolutely loved it and consider it to be one of my favorite dance forms. Dance has always been a part of my life and I can't wait to get back into the groove of devoting my time to learning more about it. Become bilingual... or at least as close to bilingual as possible. I've now been taking Spanish classes for six years, with some breaks in between, and love the language so much. It has taught me so much about the languages I already know and I've become so interested in theory of linguistics. I plan on speaking Spanish every chance I get and working on perfecting that gorgeous Spanish accent. Practice photography. When I went to Europe last summer, I hardly knew how to use my camera. It's so disappointing to see my photos and notice how even if the composition has potential, the exposure is off. I feel like I've made improvements on my photography this year, and hopefully the photos I take this summer will reflect that. Blog! One of the benefits of having a blog is that I have an outlet to post photos and chronicle my adventures as they happen. I plan to post much more often than I have during this past school year and can't wait to look back on these posts of my memories in Madrid. Survive. Not get taken. Not get arrested circa Bridget Jones in Bridget Jones: The Edge of Reason. Not get lost to the point where it stops being fun and starts getting scary. At this point, after countless applications and interviews, I have found an incredible host family and purchased my plane tickets. I have an overly ambitious list of about twenty-five cities I plan to visit throughout Spain, Italy, and Portugal. My Pinterest boards on travel have never looked so good. 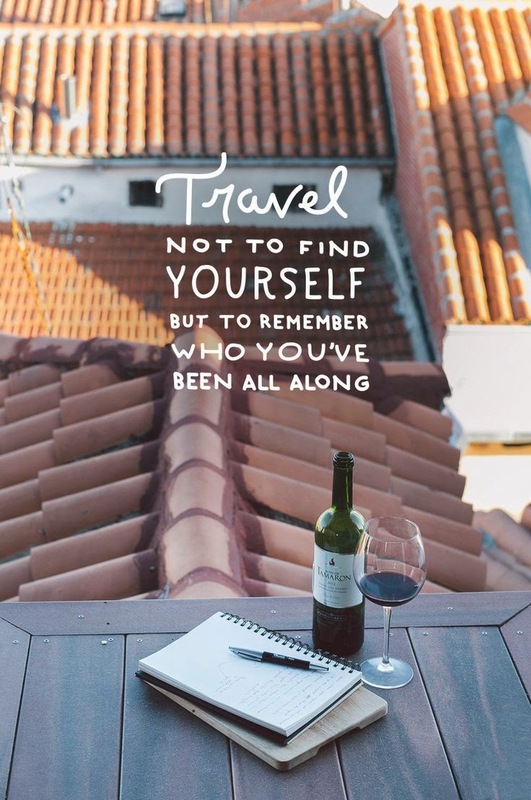 The wanderlust bug has bit me hard you guys, and I. Can't. Wait. I can't wait to share these twelve weeks of my life with you through photos and posts. I can't wait to travel everywhere and immerse myself completely in the culture. I can't wait to let Spain form me and shape me and change me, the way that India does every time I visit, or even the way living in DC for the past two years has done. I am so incredibly grateful to my parents, for not only allowing me to live in Spain (read: not be with them at home this summer) but also understanding my passions and encouraging me to follow them. I feel so fortunate to have this opportunity and keep reminding myself to take a moment to step back and appreciate how amazing all of this is. I'm looking forward to seeing how these weeks pan out. As always, feel free to ask me about any questions you may have. And please, let me know if you have any advice, tips, or recommendations for restaurants, sights to see, etc. To chronicle these au pair adventures, I will tag all related posts with "aupair." Photos courtesy of www.dailytriphack.com and The Fresh Exchange blog.